Martial arts classes are fun and they will teach your child life long skills such as self-confidence, discipline and fitness. Your child will also have the opportunity to interact socially with both peers and adults who have a similar interest. There is a lot your child can gain from taking martial arts classes, but first you have to make sure he or she is ready for it. Achieving goals and getting results is not something that happens overnight. Both you and your child have to make an unwavering commitment to attend classes on a regular basis. Additionally, you have to make a long-term commitment before you'll see positive results. If your child is likely to miss classes because he or she doesn't feel like going, or your schedule is too hectic to get him or her to class regularly, then you should wait until the timing is better. If your child has trouble respecting authority, then martial arts classes won't work for him or her. 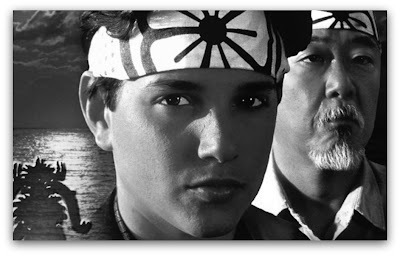 Learning martial arts requires a relationship of mutual trust and respect between student and teacher. If your child has serious behavior problems going into the class, there's only so much an instructor can do to help before he or she has to say, "This isn't going to work." Just because your child is being bullied, that doesn't mean you should drag him or her into martial arts classes if the child doesn't want to go. You can't force someone to learn martial arts; they have to want to learn for themselves. 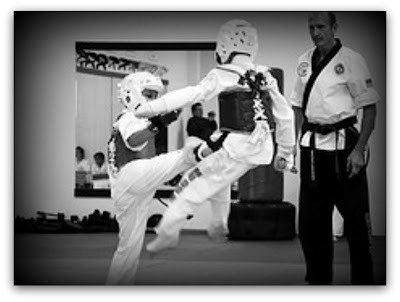 If you have to drag your child to class kicking and screaming, then it is time to consider that maybe martial arts isn't right for him or her. Children who don't pay attention do very poorly in martial arts. Martial arts instructors cannot force your child to pay attention without taking away time from the other students. Additionally, you child isn't going to get much out of the experience if he or she isn't listening. If this is the case with your child, you have to correct your child's attention problem first. The goal of martial arts training is not to create bullies. If your child has overly aggressive tendencies, then fueling the fire with martial arts training isn't always a good idea. In some cases martial arts can help kids channel their aggression into a positive outlet, but that's not always the case. If your child has a serious mean streak, you might want to deal with that problem first. There is no such thing a perfect candidate for becoming a martial arts student. All children have their own strengths and weaknesses. However, as a parent, you have to be honest about whether or not your child is serious and dedicated enough to take martial arts classes. If you think your child is ready, but you're not sure, then it's best to talk to a professional instructor and get his or her opinion. Tony Smith loves writing about education, sports, and activities for children. He recommends all parents take the time to take self defense classes at the schools where they'd like to enroll their children. Taking classes is a great way to get to know the instructor while learning valuable life skills at the same time.